Official Guide: Walkthrough: Castle Kaputstone Chapter 5 - Who's The Monster Now? Walkthrough: Castle Kaputstone Chapter 5 - Who's The Monster Now? 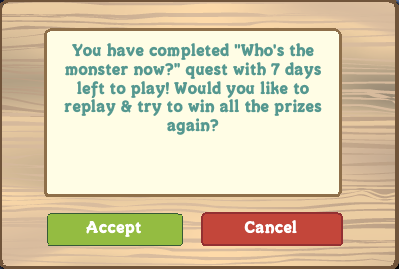 Call me a monster if you want! I so dearly loved my mutt. When he was sick, I did all I could to help him. I brought him back from the beyond! Yes, he looks terrible, but love transcends external beauty. 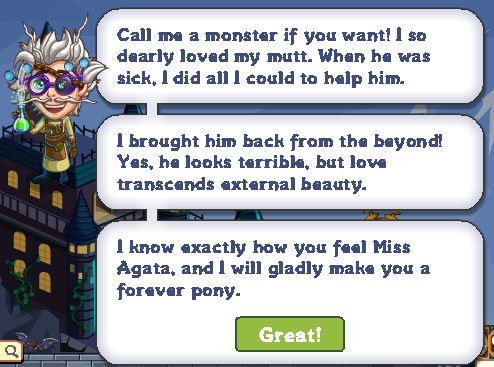 I know exactly how you feel Miss Agata, and I will gladly make you a forever pony. Castle Kaputstone Chapter 5 - Who's The Monster Now?